Thank you to our generous hosts Scallywags Bar for giving #FCSP Toronto a friendly, fun place to meet and watch matches. 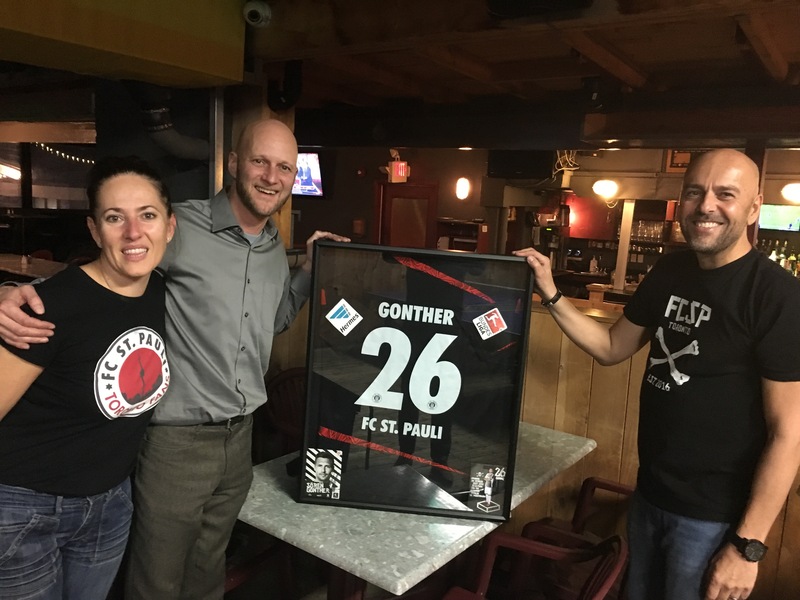 In appreciation we presented Scallywags manager Andy this framed Sören Gunther kit. Thank you Andy, Jeff, Stephanie and all the Scallywags staff. Prost!